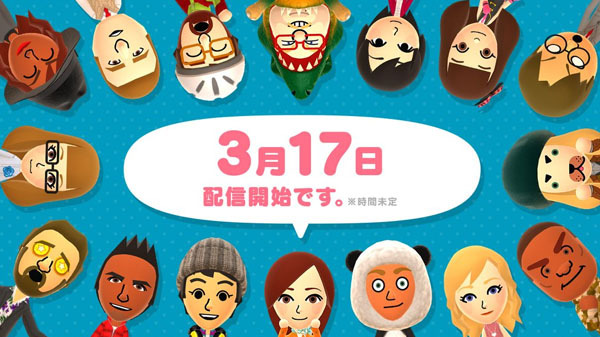 Nintendo will release Miitomo, its smartphone application that uses Mii characters to develop unexpected relationships with friends via “friendly communication starters,” will launch on the iOS App Store and Android Google Play marketplace on March 17, the company announced. The application will be free to download. Read more here and here.